45 Piece Pfaltzgraff Flatware Set AND Mahogany Chest For $59! I know it’s late, but this is too good to not pass on. 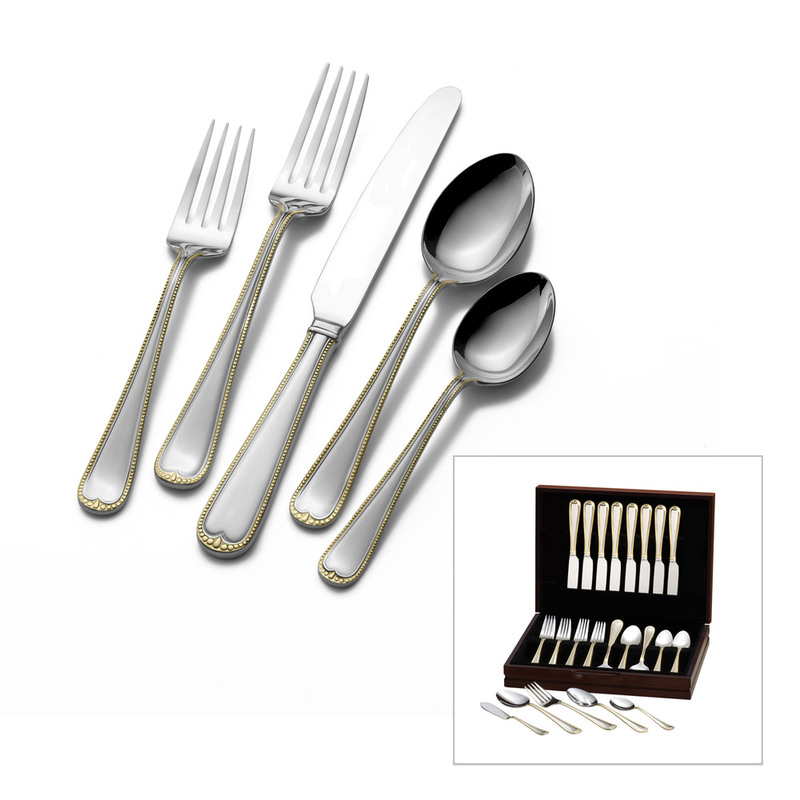 Click here to be redirected to Housewares Deals to get this great 45 Piece Pfaltzgraff Everyday Gold Newcastle Flatware Set with a mahogany chest. It is suitable for everyday use, yet the gold accents give this set an elegant design and style that is perfect for more formal occasions. Each piece is expertly-crafted of superior quality 18/0 stainless for strength and durability. Dishwasher safe. 45 piece set, service for eight, includes (8) each of: dinner fork, salad fork, dinner knife, dinner spoon, and teaspoon, plus 1 each of: tablespoon, pierced tablespoon, cold meat fork, butter serving knife, and sugar spoon. All pieces are kept neat and organized in the included mahogany flatware chest. The regular price is $180, but if you buy it before midnight TONIGHT, the price is $59! This makes a great holiday gift!